Dundas House above Dundas Shopping Centre, Middlesbrough, where Dodds Brown has let more than 20,000 sq ft of space for a landmark wellbeing centre. Teesside independent commercial property consultants Dodds Brown has let more than 20,000 sq ft of space in a Middlesbrough town centre office building and shopping centre for a landmark wellbeing centre. Middlesbrough Council is taking a five-year lease on 19,820 sq ft of office accommodation on floors one to four inclusive at Dundas House on Dundas Street in the town, and in unit 11, a retail unit in the associated Dundas Shopping Centre, to provide the new Live Well Centre which will offer services to empower people to make positive choices to improve their health and wellbeing. The £800,000 refurbishment will provide a gym, studio, training kitchen, open IT facility, café area, group, craft, training and event rooms and office space. Richard Wilson, senior associate partner at Middlesbrough-based Dodds Brown, secured the deal on behalf of Dundas House and Shopping Centre landlord Contract Experts. He said: “This is an important letting for both Middlesbrough Council and Dundas House and Shopping Centre. 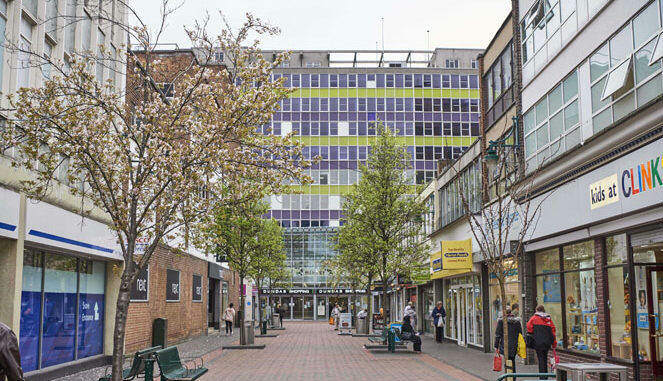 “The users of the centre new will significantly boost the weekly footfall in the shopping centre which already exceeds 60,000 per week, as well as attracting other wellbeing related organisations to take space in Dundas House. “The new centre will provide an excellent opportunity for a wide range of complementary businesses, such as charities, not-for-profit organisations and pharmacies, looking to re-locate. Office suites of up to 6,340 sq ft remain available at Dundas House, as well as retail units in the Dundas Indoor Market. Which government will invest in our future?